You are regularly challenged by the growing needs of the business. Operations demand around the clock availability and the need for heightened security and compliance has never been greater. These pressures all converge with the day to day challenges of maintaining control of ever-increasing server sprawl, resources, and budgets. Windows Server 2008 R2 with SP1 is designed to help you increase control, availability, and flexibility of your datacenter and desktop infrastructure while helping reduce costs. Upgrading to the latest release of Windows Server 2008 R2 with SP1 will give you improved powerful virtualization capabilities that can transform how you deliver IT services to your end users and enable you to lay the foundation of a private cloud infrastructure. Windows Server 2008 R2 with SP1 is a platform server that includes a robust set of features. Whether you want to consolidate servers, build a Microsoft private cloud, or offer Virtual Desktop Infrastructure, the features of Windows Server 2008 R2 with SP1 offer you the flexibility to deliver advanced capabilities to your business for increased IT efficiency and agility. The BranchCache feature in Windows Server 2008 R2 reduces WAN utilization and improves the responsiveness of network applications. BranchCache in the Windows 7 and Windows Server 2008 R2 operating systems can help increase network responsiveness of centralized applications when accessed from remote offices, giving users in those offices the experience of working on your local area network. BranchCache also helps reduce wide area network (WAN) utilization. DirectAccess is a feature in the Windows 7 and Windows Server 2008 R2 operating systems that gives users the experience of being seamlessly connected to their corporate network any time they have Internet access. With DirectAccess, users are able to access corporate resources, such as e-mail servers, shared folders, or intranet Web sites, securely without connecting to a virtual private network (VPN). Storage requirements today are growing at exponential rates with companies digitizing their content and having to store more unstructured data. Organizations need to manage their data more effectively as well as more efficiently. Only by gaining insight into their data can companies reduce the cost of storing, maintaining, and managing data. Windows Server 2008 R2 File Classification Infrastructure (FCI) provides insight into your data by automating classification processes so that you can manage your data more effectively and economically. FCI does this by enabling to automatically classify files based on properties defined by administrators (such as whether or not a file contains personally identifiable information) and performing administrator-specified actions based on that classification (backing up files containing personal information to an encrypted store, for example). These mechanisms are included in the box as well as provided by extensible interfaces that allow IT organizations and partners to build rich end to end solutions for classifying and applying policy based on classification. FCI helps customers save money and reduce risk by managing files based on their business value and business impact. Application compatibility is a key factor in the experience you enjoy on Windows Server 2008 R2, and many of the leading industry line-of business and mission-critical applications have been certified to run on Windows Server 2008 R2. Microsoft offers free, downloadable test tools that help enterprise IT professionals, custom application developers and independent software vendors test third-party and custom in-house applications for compatibility with Windows Server 2008 R2 You can identify both software and hardware that has been certified to run on Windows Server 2008 R2 by visiting the Windows Server Catalog. Windows Server 2008 R2 Datacenter delivers an enterprise-class platform for deploying business-critical applications and large-scale virtualization on small and large servers. Improve availability, enhance power management, and integrate solutions for mobile and branch workers. Reduce infrastructure costs by consolidating applications with unlimited virtualization licensing rights. Scale from two to 64 processors. Windows Server R2 2008 Datacenter provides a foundation on which to build enterprise-class virtualization and scale-up solutions. Today's technology landscape is changing as quickly and as radically as any time in its history. Virtualization and cloud computing are receiving most of the press, but other technologies, including remote access and branch connectivity, server security, and even raw computing performance are also moving forward rapidly. To keep your business competitive, consider transforming your datacenter. For all the technologies just mentioned, Windows Server 2008 R2 with SP1enables you to take full advantage of virtualization and added security. Additionally, you can discover new ways to connect your employees or manage your datacenter more efficiently for cost savings. Virtualization, one of the most profound new IT development in recent years, has changed the modern datacenters - how they are architected, organized, leveraged, and managed. Users still running the 2003 edition are missing out on the compelling ways that Hyper-V, Microsoft's powerful virtualization platform, can assist the improvement of their datacenter's performance and return on investment (ROI). While earlier versions of Windows Server can accommodate rudimentary "bolted on" virtualization engines, Windows Server 2008 R2 provides you with both a powerful server platform and a full virtualization engine in a single box. Hyper-V can impact your datacenter from the ground-up. Virtualization is revolutionizing how IT designs and manages a modern datacenter as well as how your employees can use that datacenter more productively. Only Windows Server 2008 R2 can deliver all of these benefits through a powerful server and management platform. New advancements like virtualization mean that server platforms need to upgrade and even change their management features to keep pace - and Windows Server 2008 R2 delivers on that requirement in abundance. In the Windows Server 2008 R2 box you will discover a host of new management capabilities unavailable in previous versions. Windows Server 2008 introduced server roles, an easy way for you to dedicate a server instance to a particular task - file and print, remote access, domain and more. Windows Server 2008 R2 automatically activates only those features required to perform that task, though you can modify those settings if you choose. The result is a more secure server, since unnecessary services are not enabled. This feature also lets you quickly build and assign templates to specific server roles and workloads in case those servers need to be rebuilt. Windows Server 2008 R2 also adds a host of new management consoles making tasks like Active Directory administration, server management, and virtualization management easier and more intuitive. Enabling many of these consoles is another game-changer available only on Windows Server 2008 R2, and that's PowerShell. This simple scripting language gives you a complete customizable way to automate rote management tasks and create management workflows designed specifically for your datacenter and your business. Windows Server 2008 R2 even includes 240 PowerShell pre-built scripts as well as a graphical user interface so your IT admins can create more scripts quickly and easily. Threats related to hacking, malware, viruses and even employee misuse of computing resources make security an important consideration for every datacenter manager. Windows Server 2008 R2 is equipped with powerful new security features designed to keep your datacenter and your business safe from danger, both inside and out. The Server Role feature, for example, means servers meant for specific tasks enable only those services required to fulfill those tasks, automatically disabling any unneeded services. That means a smaller attack surface for malware and hackers to exploit. Windows Server 2008 R2 has also included a new data encryption feature, called BitLocker that applies encryption algorithms to specific data volumes, locking down valuable data from prying eyes. We have also included new Business Process Analyzers that automatically audit your servers to make sure you are running those servers with the latest security patches and best practices. This is a big help for businesses required to pass regulatory requirements, like those imposed by SOX, HIPAA and credit card processing auditors. Companies remaining on older versions of Windows Server, including Windows Server 2003, will have increasing problems passing such audits, since those platforms are necessarily out of date. Windows Server 2003, for example, entered its Extended Support phase in July of last year. That means datacenters using this platform will not receive automatic security updates. Migrating to a modern server platform is a necessary first step in keeping your business more secure. Active Directory Domain Services Group Policy in Windows Server 2008 provided you with more control over power management on client PCs. These capabilities are further enhanced in Windows Server 2008 R2 and Windows 7 to provide even more precise control in more deployment scenarios for even greater potential savings. The server hardware industry has long been shipping CPUs capable of 64-bit computing. 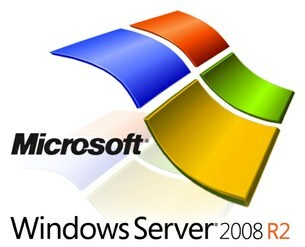 Windows Server 2008 R2 was the first Microsoft product platform to move to a 64-bit only model. That does not mean you cannot run 32-bit applications on Windows Server 2008 R2, but it does mean that 64-bit applications will run significantly faster and handle larger compute loads than previous Windows Server platforms. We have also upgraded Windows Server's network performance for much faster communication between servers, workstations, remote computing sites, and users. New features include a completely redesigned TCP/IP stack, support for SMB 2.0 and making it easy for your IT administrators to enable IPv6 where appropriate.